It’s no doubt that Hezbollah’s embroilment in the Syrian war has marked the beginning of its moral decline. 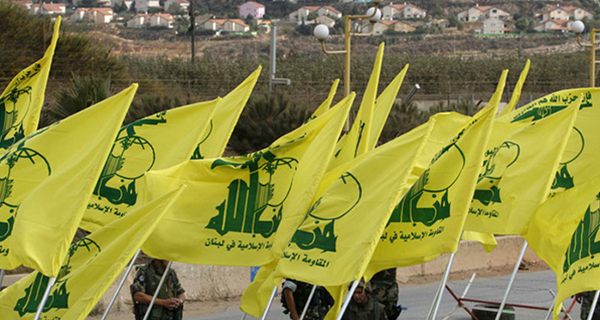 What is written here about Lebanon’s Hezbollah might be viewed by many as sectarian-sounding. It is anything but sectarian. It isn’t in any way an escalation of rhetoric against the Shiite militant group but a sound and objective explanation of why Hezbollah, in my estimation, is now on the verge of collapse. I see nowadays any talk about Hezbollah’s popularity as outdated for the Shiite group is now facing an existentialist dilemma. Firstly, it must be noted that Sunni Muslims constitute the majority of the Arab world – rarely estimated as accounting for less than 80 percent in academic studies. The rough estimate of how much in percentage Arab Sunnis outnumber Arab Shiites does not need that much research to pinpoint. Just put Iraq, Syria and Lebanon aside and you can tell. Iran-backed Hezbollah has always presented itself as Shiite and, in terms of make-up, it is purely Shiite. Such demographic facts may not be that important – and at a certain time they were not – but nowadays they are especially so with the Arab world severely suffering from the destructive interference of Shiite Iran using its Shiite allies Hezbollah, the Syrian regime and Houthis in Yemen as well as allies in Iraq and Lebanon. Hezbollah has succeeded in gaining popularity outside its Shiite base from Arab Sunnis using its “alluring” image as a resistance to the Israeli occupation. Hezbollah’s popularity reached its climax during the 33-day war with Israel in 2006. At the time, Hezbollah Chief Hassan Nasrallah’s televised speeches were probably the most watched across the Arab world, especially in the Palestinian refugee camps. With complete self-denial, Hezbollah’s Nasrallah is still acting – in words only – as if nothing has changed since 2006. The outspoken leader is living on faded memories. The aftermath of the 2006 war with Israel has seen Hezbollah shift from resistance movement to a Shiite militia in service of Iran. After 2006, Hezbollah has not shown any considerable resistant attitude, not even during the Israeli assaults on Gaza in 2008, 2009, 2012, 2013 and 2014. Hezbollah has been fully indulgent in sectarian struggles, mainly in Syria, that have nothing to do with the Palestinian-Israeli conflict to the point its self-depicted apparatus as resistance movement seems to be nothing but a lie. In brief, Hezbollah’s resistance ideology is never consistent, making it similar to the Islamic State of Iraq and Syria. In both militias’ rhetoric, Palestine is absent. It’s no doubt that Hezbollah’s embroilment in the Syrian war has marked the beginning of its moral decline and will definitely bring about its downfall, at least militarily. Hezbollah rushed to Syria to fight alongside the Assad Alawite regime soon after the war there had begun to take the form of a Sunni revolution against the decades-long Alawite rule. In fact, Hezbollah did not hide its sectarian agenda, declaring its aim to protect Shiite shrines. The story of the Shiite shrines was the pretext Hezbollah used to cover the orders it received from Tehran to save the Syrian regime from the Sunni revolution that began to take shape and gain momentum some few months following March 2011. Militarily speaking, the years-long Syrian war seems to be depleting Hezbollah’s power. It is becoming difficult for Iran to send weapons to Hezbollah through Syria, as the routes are monitored and hindered by Israel. Thus the Shiite militia’s arsenal will come to an end one day or at least will be weakened in comparison to those it opposes, such as the Syrian opposition. The recent seizure of the Syrian rebels on the Nasibe border crossing with Jordan was proof of the Syrian opposition’s growing military competence as opposed to the deteriorating capabilities of Hezbollah and other militias fighting alongside the Assad regime’s forces. Hezbollah is weakening itself by itself. Hezbollah is no longer a resistance movement and maybe never has been but it was seemingly waiting for the right moment to unveil its role as a tool to establish the “Shiite Crescent” within the Levant, as it was coined by Jordan King Abdullah. But no matter what, Hezbollah will remain a militia it seems. Nasrallah’s rhetorical vow to fight in Syria, Iraq and Yemen is no doubt beyond his party’s capabilities. It seems evident now that Hezbollah is nothing but an effective proxy for Iranian foreign policy. Hezbollah should realize that it is playing a high stakes game as Tehran may sell it out in one of its never-ending bargains.